The iNz Residence EC is a new Executive Condominium that is launching for sale now in early 2017. It will be another innovative SMART LIVING EC by the most prolific executive condo developer, Qingjian Realty, who is leading the way in Smart Home ECs. iNz EC will come with flexible and functional layouts. It is one of the most affordable new ECs in the western part of Singapore. 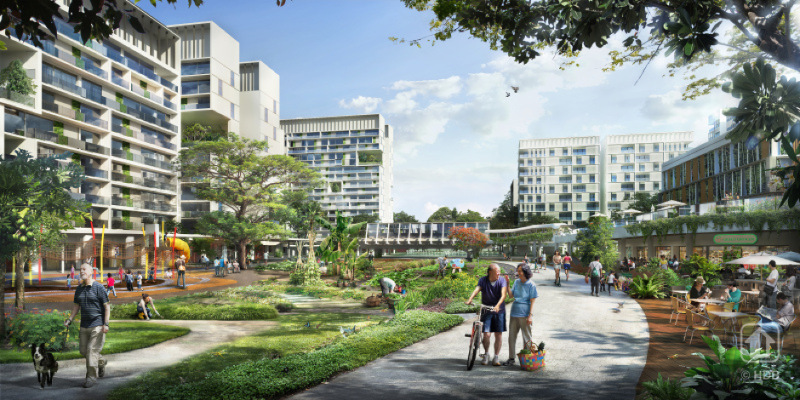 What is also exciting about iNz EC is its location next to Tengah Forest Town – recently unveiled as Singapore’s newest & largest Smart, Sustainable Green Town. 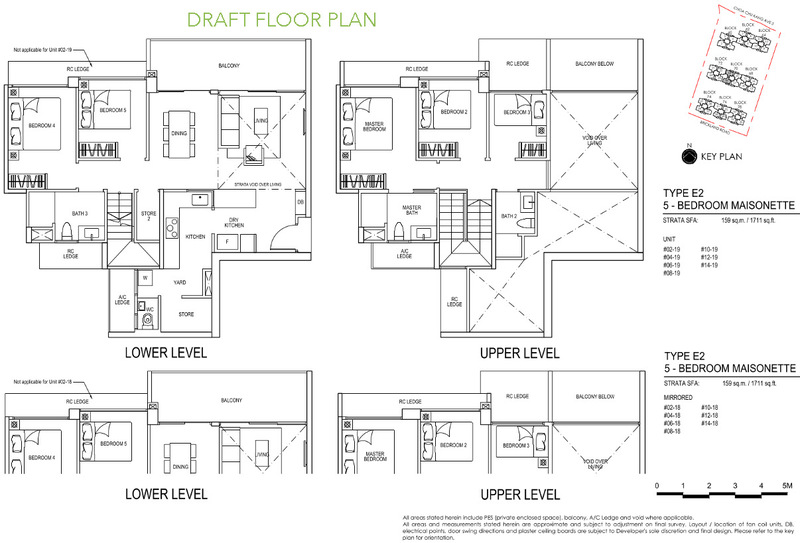 Just drop us a line below if you wish to be kept updated, or for the floor plans to be sent to you. 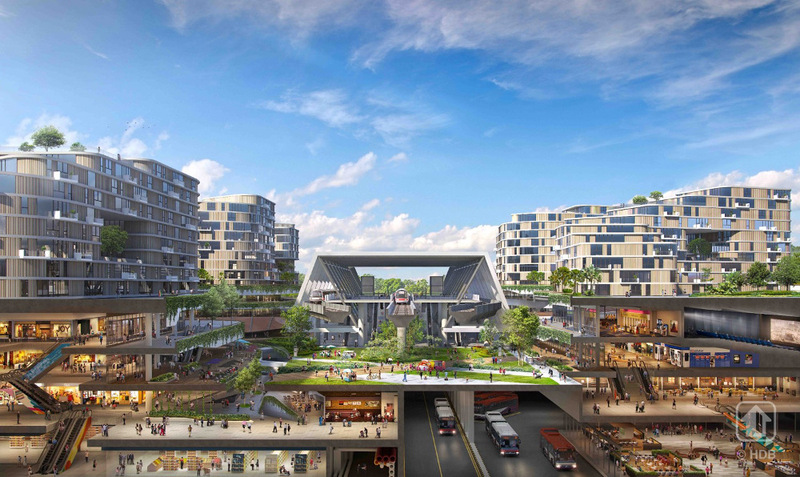 iNz Residence sits between Choa Chu Kang Avenue 5 on one side, and Brickland Road on the other (across which will be the new Tengah Forest Town). Its main entrance will be from Choa Chu Kang Avenue 5. A HDB precinct lies on its west, providing a host of supporting amenities, like shops and food centres. To its east is open land, zoned for a school. As schools are generally only built up to 6 or 7 floors, it will afford wind flow from that side. Choa Chu Kang Park Connector borders the south of the site, in front of Brickland Road. This links to Choa Chu Kang Park and Bukit Batok Town Park. It also makes it safe and easy to cycle to the Choa Chu Kang MRT Station. Choa Chu Kang Town Centre & MRT Station, with Lot One Shopping Mall and the public library, are within easy reach of the iNz EC. Nearer still there is Sunshine Place, within 5 minutes walk, which houses a Giant supermarket, a Kopitiam foodcourt, a Kinderland, a Learning Vision @ Mall, a clinic and other shops. If you prefer to walk to a slightly bigger shopping centre, Keat Hong Shopping Centre is around 550m away, cutting diagonally under the HDB blocks. About an 8 minute walk. This is a one-stop mall for residents. Has all the basics like minimarts, a wet market, medical clinics, 3 eating outlets, and food centres. This place is also known as a paradise for fashionistas. Lots of hairdressing salons, spa and manicure shops. iNz Residence is also within a short drive of the Hillion Mall and the Bukit Panjang Integrated Transport Hub that is completing in 2017. The hub incorporates an air-conditioned bus interchange that links seamlessly to the Bukit Panjang LRT Station (BP6) & Downtown Line MRT station (DT1). This offers an alternative MRT route to the City Centre. As with its previous Visionaire EC project, Qingjian will make iNz Residence a Smart Home Living project. They will incorporate the infrastructure to enable homeowners to stay connected with, control, and monitor their homes remotely, via their mobile devices. And of course, iNz Residences EC, being in Choa Chu Kang, is on the outskirts of the Jurong Innovation and Lake Districts. 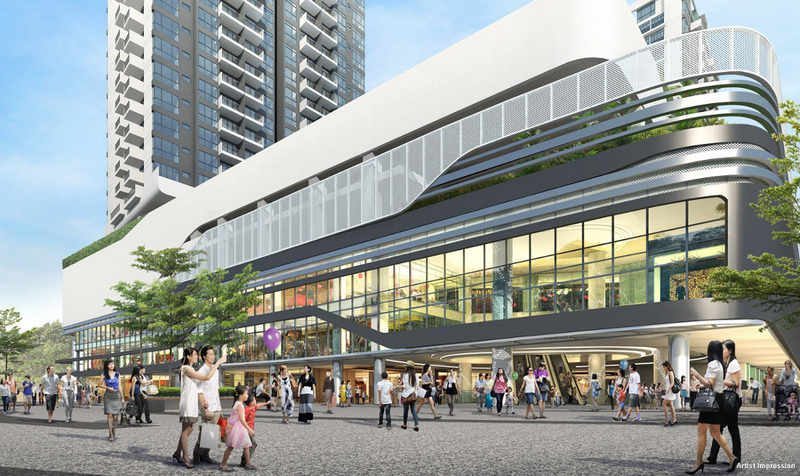 This 2nd CBD of Singapore offers a wide choice of shopping, dining, entertainment & healthcare amenities like IMM, Jurong Gateway, Westgate, JCUBE, JEM, the Ng Teng Fong General Hospital, and Jurong Community Hospital. If you would like to be kept posted on all the iNz EC updates or register for showflat viewing, please email us here. Here we will discuss the next upcoming condo launch, to be called the Antares condo. Unlike iNz however, it won’t be an executive condominium, but will rather be a private residential development. The Antares will be developed by a collaboration of three parties, jointly called FSKH Development. These three are Keong Hong Holdings, TA Corporation, and Hock Lian Seng Holdings. All three are local developers, unlike for iNz that is being developed by Qingjian. The other important factors to distinguish the Antares condo are its accessibility and location. Its site at Mattar Road is within what is typically known as the RCR or Rest of Central Region. Residences within this zone certainly command a premium over those in the suburbs, or OCR (Outside Central Region) areas, like for iNz Residence. In terms of accessibility, you certainly can’t get any better than this. The Antares is almost literally on the doorstep of Mattar MRT station, less than 100 metres from it. Door to door, it could take under 3 minutes. Do call us up for a viewing of the Antares showflat, if you like the neighbourhood. 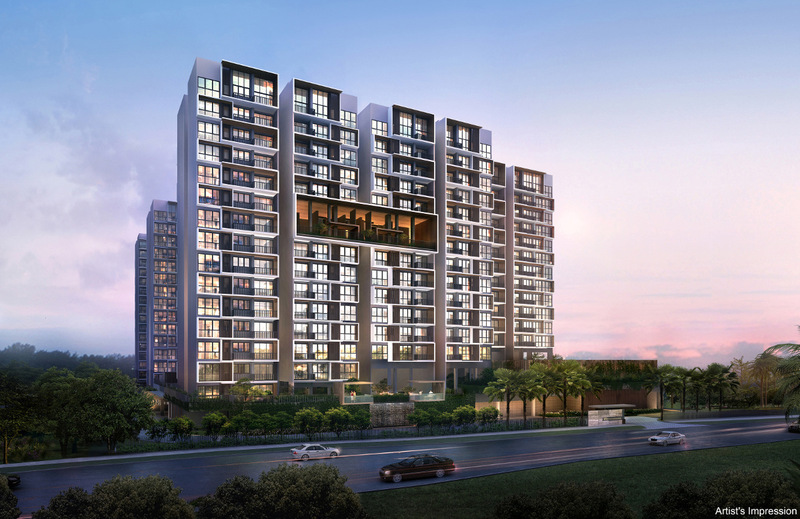 The Inz Residence executive condominium was launched in 2016, and has completely sold out. The next launch by Qingjian is now on the horizon, and it promises to be an interesting one – the JadeScape condo in the heart of Singapore. Unlike Inz Residence, JadeScape will be a private residential development. In fact, it is slanted more towards the upscale market level, given its prime location in the private residential enclave of the Thomson area, just 10 minutes drive out of Orchard Road, and within 4 minutes walk of Marymount MRT station. This site is also next to the Central Water Catchment area, the green lung of Singapore, where the biggest expanse of Singapore’s precious water and nature reserves are to be found. In tribute to this, the JadeScape site layout has been cleverly designed to incorporate the profile of MacRitchie Reservoir into its grounds as the central water feature, running through the entire width of the site. The project will accommodate 7 blocks, 22 to 23 storeys high, housing a total of 1,206 units. These will range from one to 5 bedroom units. There are 2 huge penthouses, but they are not for sale for the time being. The blocks are set out in a north-south orientation, to catch the prevailing monsoon winds, and minimise exposure to the hot west afternoon sun. Many of the units, essentially those facing northwards, will get unblocked views, as they overlook the low-rise landed housing estates to the north and north-west of the site. So there won’t be direct reservoir views, but more sideways pocket views of the water. In addition, some parcels of land between the JadeScape condo and the reservoir are zoned a higher density, so potentially taller blocks could arise in future to block some of the views. 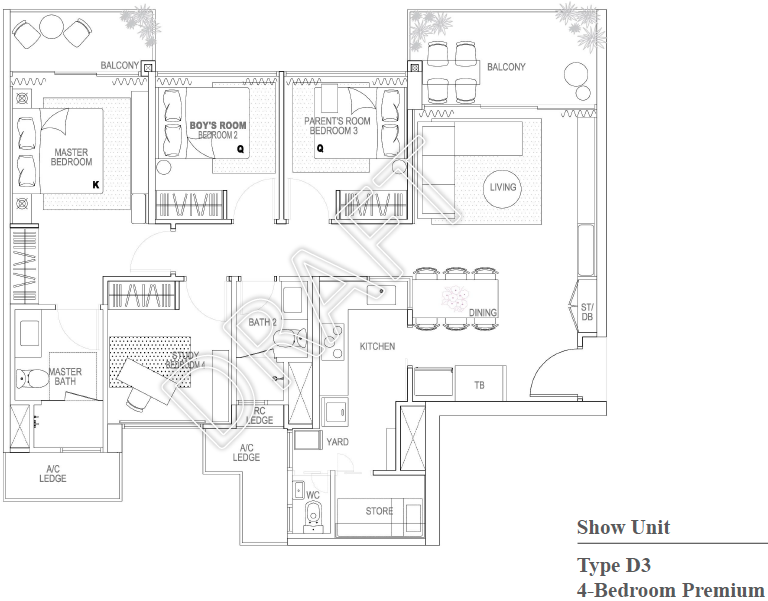 If you are interested to know more about this project, or to catch a viewing of the showflat, just drop us a line. The showflat is really worth seeing. Two storeys high, and showcasing one example of each type, from the one bedders all the way to the 5 bedders. It will also showcase not just what a Smart Home is, but what a Smart Community can potentially be like. Note that the above iNz Residence price ranges are merely the starting prices. However they look quite reasonable for the location, and among the most affordable available now. Especially as choices at the other nearby ECs are pretty limited already. If you have a tight budget, you might want to consider getting a unit here. Just sign up below to get to be among the first, with the widest selection of units. If you are eyeing one of the 5 bedroom maisonettes here, you are strongly recommended to sign up early for the launch itself. Especially since there are only 30 units of 5 bedroom maisonettes in this project. Experience at the other EC launches shows that the biggest units are usually the first to be sold out. For example, almost the 4 bedroom units at Wandervale (and certainly the most desired floor levels), and all the 5 bedroom penthouses at Brownstone, were sold out on the day of launch. In fact, as of now, there are already no more 4 or 5 bedroom units left in the other ECs in Choa Chu Kang. Please register here to receive updates on the iNz EC prices. The Jovell condominium launch by City Developments & Hong Realty . At Flora Drive in Pasir Ris near to Changi International Airport . To be launched end 2018 . Register for Jovell showflat viewing here. The iNz Residence showflat has 2 types of show suites: a 3 Bedroom CoSpace, and a 4 Bedroom Premium. If you would like to view the iNz EC showflat, just drop us a line below. The CoSpace units are designed for flexibility, to allow customisation to the buyer’s needs. Especially if these should change over time. It can be configured as an additional bedroom (turning a 3 bedroom unit into a 4 bedroom unit), or as a utility room + study, or as a storeroom + helper’s room, or as an entertainment or games or music room, and so on. The possibilities are there for you to create. Units with a study are designed such that you can amalgamate it yourself into the living room, to create a much bigger living area if you so wish. All the common bedrooms at iNz Residence can fit a queen sized bed at least, and the master bedrooms can fit a king sized bed. Ceiling heights of standard units are 2.7m, and 2.3m to 2.4m where there are false ceilings, eg. in kitchens, bathrooms, corridors. Top floor units come with higher ceilings in the living room, 4.25m high. Note that the air space in this void is part of the the strata floor area. Kitchen appliances provided: Electrolux built in oven, telescopic cooker hood, gas stove. Town gas supply. Bathrooms: fully fitted out. Bravat sanitary fittings & sanitary ware. Hot water supply to all bathrooms (except the WC). Air Conditioning: wall mounted split units to living and dining areas, study (where applicable) and bedrooms. 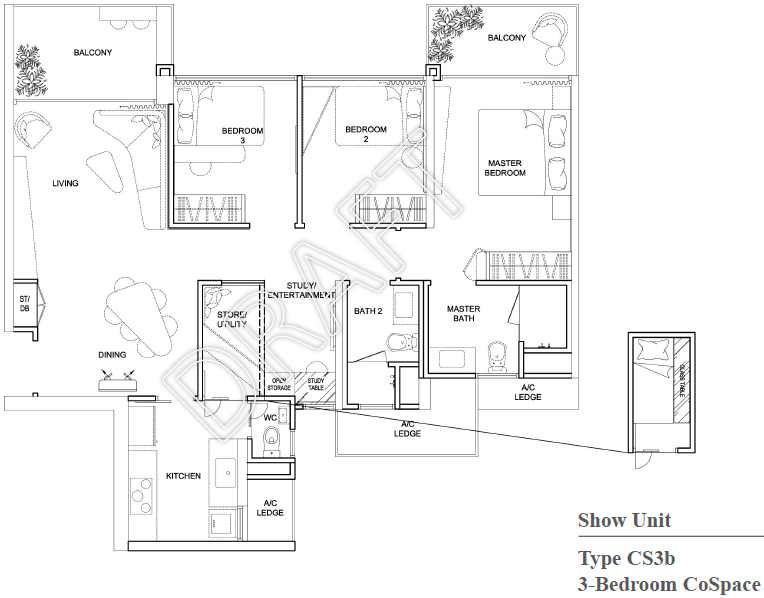 TV / Telephone & Data points to living room, bedrooms, study (where applicable). Main door access to units is by key or card or keypad. Please register here if you would like to view the iNz EC showflat. Meyer Mansion will be a beautiful new development with full sea views, off the East Coast of Singapore. This is a luxury high rise project, fronting the ECP (East Coast Parkway) and East Coast Beach. Unlike iNz Residence which is an executive condominium, Meyer Mansion by GuocoLand is a fully private development without any restrictions on ownership. Foreigners are eligible to buy, and there is no minimum holding period. If you are interested to view the Meyer Mansion showflat when it opens for the VIP Preview, just drop us a line. 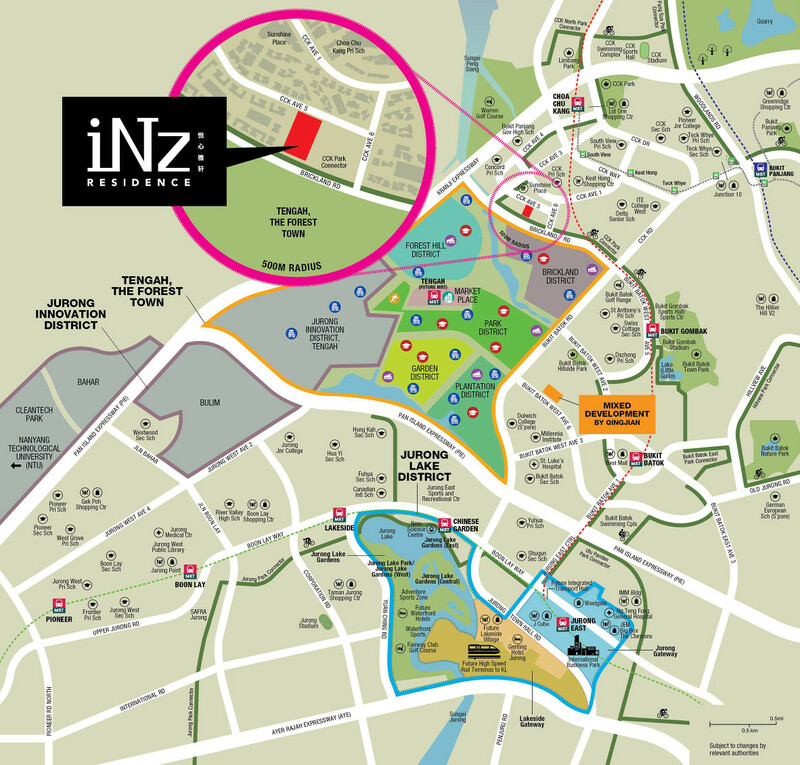 iNz Residences sits on the fringe of what promises to be truly an exciting innovative new town, the Tengah Forest Town. 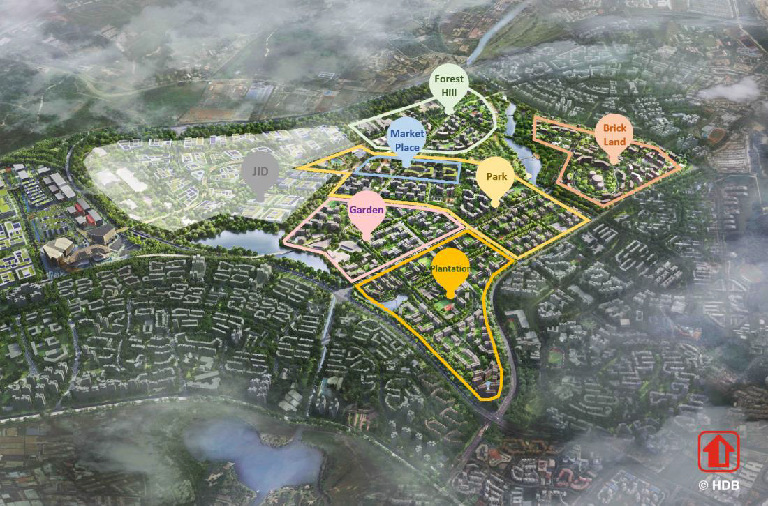 The master plan for this, Singapore’s 24th HDB town, that lies just across Bricklands Road from iNz Residences, was unveiled by MND in September 2016. 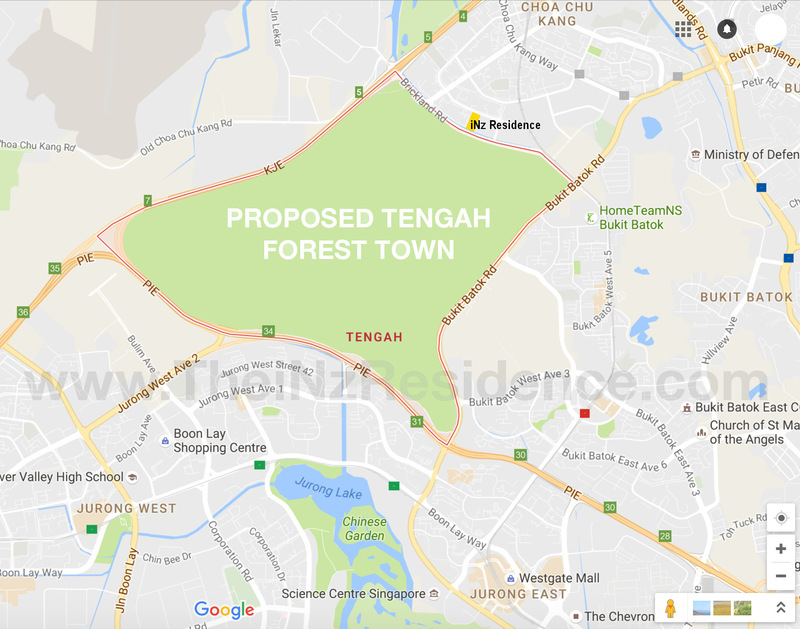 The key driving force for the planning of Tengah is the creation of a “Forest Town” that envisages homes surrounded by nature and greenery. 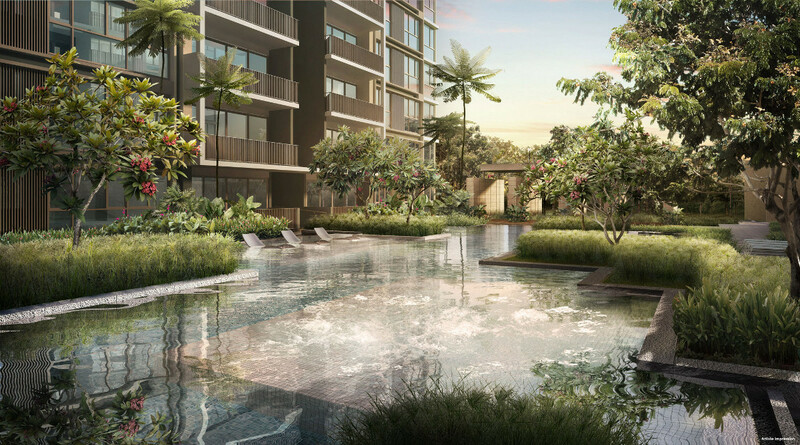 Tengah will see several ‘firsts’ in its development, and residents at iNz Residences will be able to tap on many of these as they are rolled out. 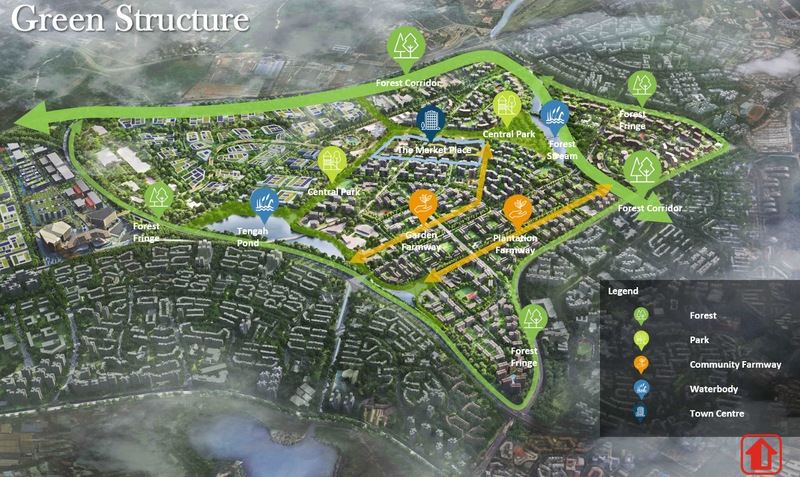 For a start, it will be the first to integrate with its surrounding greenery & biodiversity. One very attractive feature will be a 100m wide x 5km long forest corridor, that will be part of a larger network of nature reserves, connecting the Central Catchment Nature Reserve with the Western Water Catchment Area. This forest corridor will be a rich rainforest habitat, incorporating walking trails for residents to enjoy greenery and nature. Formation of 5 unique housing districts. Provisions for moving around easily. Provisions for walking and cycling networks that will enable residents to lead active and healthier lifestyles, and commute in an eco-friendly manner. Designed to encourage community living. A Smart & Sustainable Town: Tengah will also be the 1st HDB town planned for smart technology to be incorporated from the outset. If you would like to be kept posted on all the iNz Residence EC updates or register for showflat viewing, please email us here. A JV led by Qingjian Realty, together with Suntec Property Ventures & Bohai Investments, will be developing the Inz Residence EC. Qingjian is a well-known award winning developer, and certainly one of the most experienced in the executive condominium market. It has also been one of the top ten developers in Singapore for 3 consecutive years. Qingjian Realty (Residential) Pte Ltd is the Singapore arm of Qingjian Group Co. Ltd, a conglomerate based in China. Since 2008, Qingjian Realty has undertaken a number of projects in Singapore. This includes private condominiums like RiverSound Residence in Sengkang, River Isles in Punggol, and Nin Residence in Potong Pasir. Qingjian Realty has to be one of the most prolific and experienced executive condominium developers in Singapore. It has several ECs under its belt: RiverParc Residence, Waterbay, and Ecopolitan in Punggol, Bellewoods in Woodlands, Bellewaters in Sengkang, Visionaire in Sembawang, and now the Inz Residence EC. Qingjian Group Co. Ltd has been established since 1952. It has a wide range of business interests that span construction, real estate development, investment, logistics & capital management. The group handles a number of residential and commercial developments. It boasts landmark projects like the Liuting International Airport and Olympic Sailing Centre, among others. It is one of the top 500 property development companies in China. Qingjian Real Estate, its property development arm, has an output of over 1 million square meters annually. These cover a range of building types such as commercial & office buildings, large residential communities, apartments, villas, etc. As one of the “Top 500 Chinese Enterprises” for 13 years consecutively, the Qingjian group ranked 269th in 2015. It also ranked among the “Top 80 Chinese Contractors” for 11 years consecutively, and among the “Biggest Worldwide 250 International Contractors” for 10 years consecutively. In 2005, Qingjian won the “National Quality Management Award”. In 2012, it also won the 1st “Mayor Quality Award for Qingdao City”. Over the last few years, Qingjian has achieved over 300 honors and awards at provincial & national levels. The group has more than 20 branches all over China, including in Beijing, Jinan, Liaoning, Weifang, Qingdao, Xinjiang, and Inner Mongolia. If you would like us to keep you posted on all the Inz Residence EC updates or register for a showflat viewing, please email us here.